Grace Leong is the CEO + Partner of Hunter Public Relations, a leading marketing communications practice with offices in New York City, Toronto and London and talent across North America. 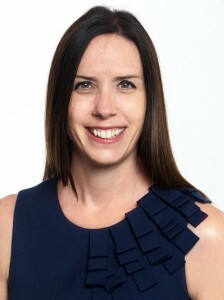 For the past 28 years, Grace has built her career and public relations agency by providing strategic marketing communications counsel to national consumer brand teams and CMO’s within Fortune 100 companies such as Kraft Foods, Mondelez, Johnson & Johnson, Post Foods, Campbell’s and 3M. What advice would you give your early-career self? What I would tell my early self is to remember not everything is a crisis or a game changer. Will it matter in a year? Two years? Most of the time the answer is no. What does matter is what happens at the finish line, and the fun part is you don’t know what’s going to happen at the finish line. You have to take your career in strides. The best way to build stamina during your career is to not worry too much about what happens every day but look forward to the things you can actually accomplish. I think back to the metaphor: It’s not a sprint, it’s a marathon. A career is a life-long pursuit. So, settle in to your career and know there will always be highs and lows, but they are not really going to be the end-all-be-all. You are only going to remember four low-lows or four really high-highs that will have the most overall impact on your career. Don’t sweat the stuff. It’s hard to tell young, eager professionals that, but you have to talk to people who have been there and learn from their experiences. I’ve been fortunate to have a great career that has been extremely rewarding. My career didn’t come without being absolutely invested in this business of PR. Though it looks bright and shiny on the outside, it only comes from hard work. The more you work for it, the more it comes. I want people to feel as passionate about the work and industry as I do. This industry provides so much access to people, places and things. I’ve had opportunities to meet so many great people, work with great companies and learn from people like Plank Center board member, Ron Culp. Ron was working at Sears when I was an account executive. It was inspiring to be in those meetings with him. How has a mentor influenced your career path? Couple that with my work mom who was Barbara Hunter, founder of Hunter Public Relations. She, too, believed you fundamentally have to be the hardest working person. By giving her time and talent, Barbara set the most extraordinary example of hard work paying off. Both of these women taught me the value of working hard and putting yourself into the game. My success in PR is because of them. I’ve never been the smartest, prettiest, talented or most creative person, but I know from these women that I am the hardest working person because I have molded myself to their image and never stopped. It’s very similar to what my two mentors told me. It’s always, always about hard work and it never stops. If you are coming into this industry thinking once you get promoted, the work will stop, you’re wrong. By being in service to other people, you have to become the hardest working person. There is no substitute for hard work. The only way to build a great career is your own investment in the work. No one will activate you. You have to activate yourself to drive your career forward. For me, the best way to spend a Saturday is outside in an open soccer field watching my favorite players—my four children—do their best. There’s nothing better than seeing them get better at their craft. My fuel is a triple shot grande latte with skim milk from Starbucks. Every morning, I spend an hour in my office reading periodicals, books, passages and literature mainly focused on the topic of leadership. Reading about business, leadership and management prepares me to face the challenges as a leader and inspire other people to grow into leadership. The job of a leader is never done. I read the Harvard Business Review and The New York Times religiously, gathering advice on how to be a better manager or leader and seeing evidence of leadership and management good or bad. I find after my hour of reading that I’m ready to take on that particular day. Reading helps remind me of my responsibility as a leader and I encourage others to read and read more. Currently, I’m re-reading Good to Great by Jim Collins. It has been, and still is, the Bible many corporations set its standards to. I discovered the book while I was in business school, and as I’m re-reading it, I’m finding the truth to be absolutely the same. The fundamental principles of how a company goes from good to great are timeless, and it’s important to be reminded of them. I’m in the chapter where Jim talks about having the right people on the bus. Every company that went from good to great, mapped out in the longitudinal study in the book, had the right people in the company. It didn’t mean they were the smartest, prettiest, most talented or creative, but they were the right people for the company’s mission. The right people, for me, start with the hardest working people in the business. I would rather have the hardest working person on my team than the smartest. Every leader is leading and teaching other people, so you have to be able to develop those skills throughout your career. Never think you’ve made it or there’s nothing more to learn. If you think that, you are not a leader. The slogan motivates people to play the lottery, but for me, it is a great metaphor for a career. Thinking about the slogan, the subject of that sentence is you and YOU make the win. If you’re not in it, how do you expect to win it? It’s all about personal responsibility, commitment and investment. Anytime I can talk about this slogan, I feel like I’m delivering the most powerful advice for anyone who wants to have success in this business. It’s what a career in PR demands. Think about it. If you choose to go to a PRSSA meeting, you are putting yourself in it and you’re going to win. Whether you met a new friend or learned something new, you will walk out of that meeting feeling inspired. So, ask yourself: What are YOU in and how do YOU win it? I hate the word good because I want to be excellent all the time. I believe the passage that good is the enemy of great, and I operate on that principle every day as a leader. The lesson that has taken me the longest to learn, and a reflective lesson that I’m still learning, is that I have to pull back. Sometimes it doesn’t need to be excellent or great. Sometimes I have to relax my own standards to help others excel.